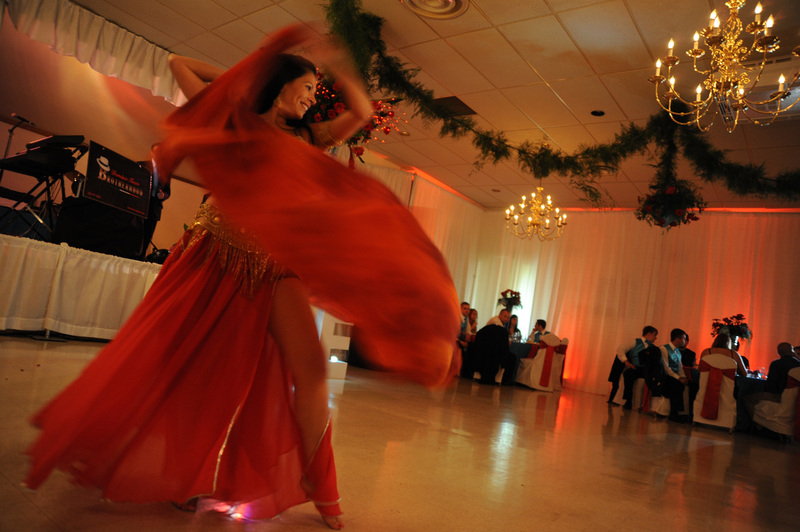 a professional dance performance adds flair to gatherings of any size. She has an extensive network of musicians & dancers who enjoy collaborating on larger events. Your party will be perfect. Click HERE to hear from satisfied clients and see the FAQ section at the bottom of this page. Q: How long is a professional performance? A: A typical show is between 15-30 minutes but can be longer or shorter depending on your needs. Typically, the dancer may perform with props like veils, fans, assaya, finger cymbals or candles. Musicians and additional dancers can be included as well as mini-lessons. Performance times can vary and are based on your needs. Depending on the event, the guest of honor and party attendees may be asked to get up and dance too! Q: Can Jennifer Jemeena perform at my event and then teach a lesson to the group? A: Yes! This is her favorite type of party! The performance would last 15-20 minutes and would be followed by a 40-45 minute lesson to get your guests dancing! A: Rates change depending on the type of event, length of performance, and distance. Rates can be structured to meet specific needs for your event so do not hesitate to contact Jemeena for a quote. Q: What if we need more than one dancer or we want to find musicians? 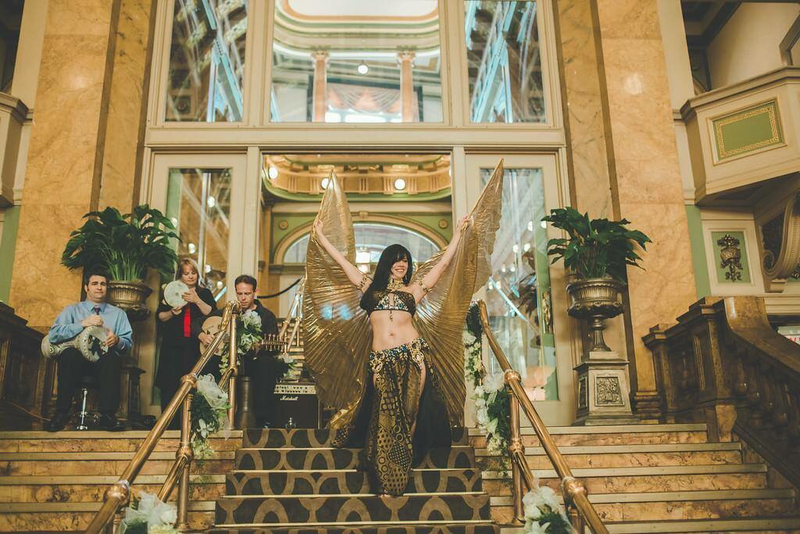 she collaborates and who would love to perform for your special day! Q: Is the performance suitable for children? A: Yes! Reputable dancers are always family friendly and appropriate for children of all ages. Usually, children are the first people to get up and dance! She even has a special Children's Birthday Party that includes performance, mini-lesson and a special gift for the birthday child! Get information. Q: I am ready to book a performance with Jemeena, what's my next step? A: Once you discuss your event needs with Jemeena, you will receive your price quote and a detailed invoice. Simply remit payment by the due date on your invoice and your booking is complete. Jemeena will contact you prior to the event day to confirm location and times and, on the day of your event, will show up professionally costumed and ready to wow the crowd! Please be aware that once a booking date is confirmed, no refunds will be issued. Q: Are there any events that Jemeena will not dance at? A: YES! Jemeena does not dance at events that are 'men only' such as bachelor parties.